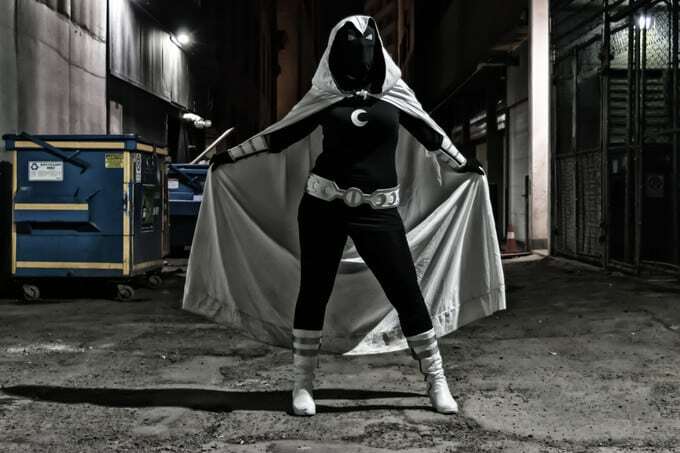 Moon Knight will soon make an appearance on Netflix, something that is very exciting. 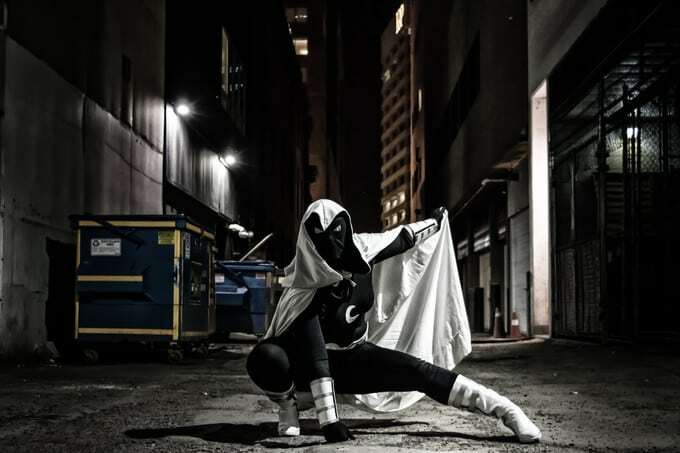 The dark and mysterious character will bring another exciting chapter to Marvel Television. Breezeeweezee Cosplay did a fantastic job capturing the excitement of the character prior to his arrival on Netflix. But this isn’t your average shoot. Breezeeweezee did a genderbent version of the character and sacrificed rest to get this shoot. 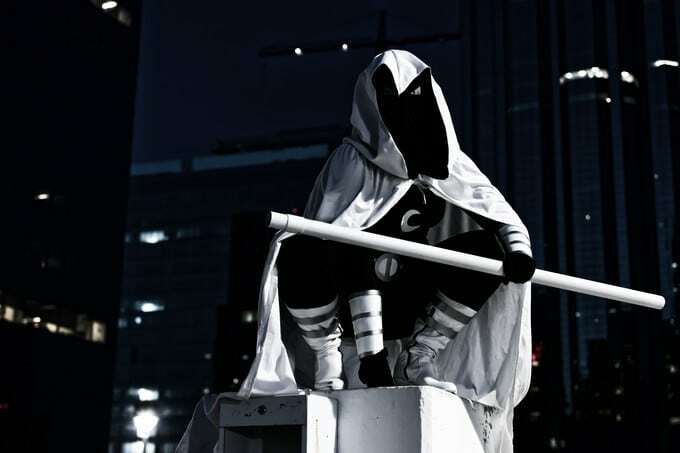 This is a genderbend version of the Marvel Comics character Moon Knight. 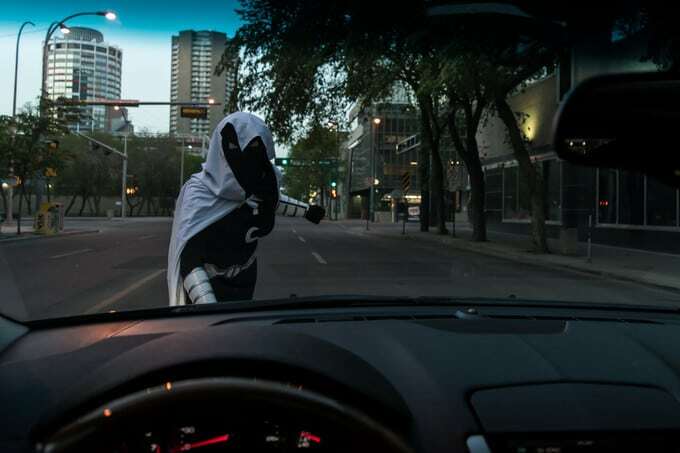 Photos were taken downtown Edmonton (Canada) at 4am. Great job! And great photos by Captured Photography. Thanks for sharing the gallery with us Breezeeweezee. 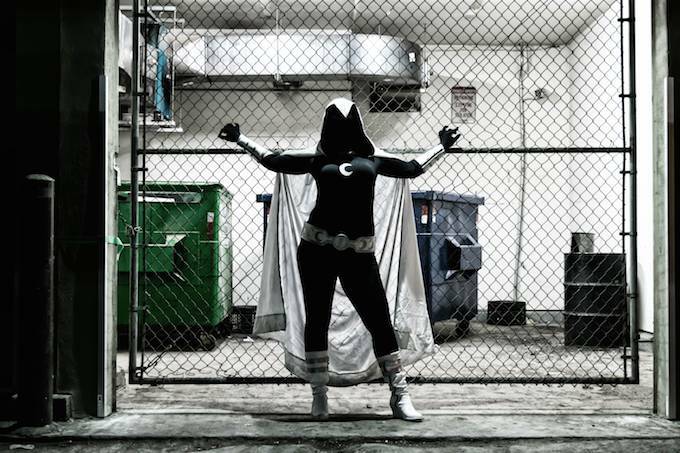 To share your own cosplay galleries, check out our Cosplay Submission Form. 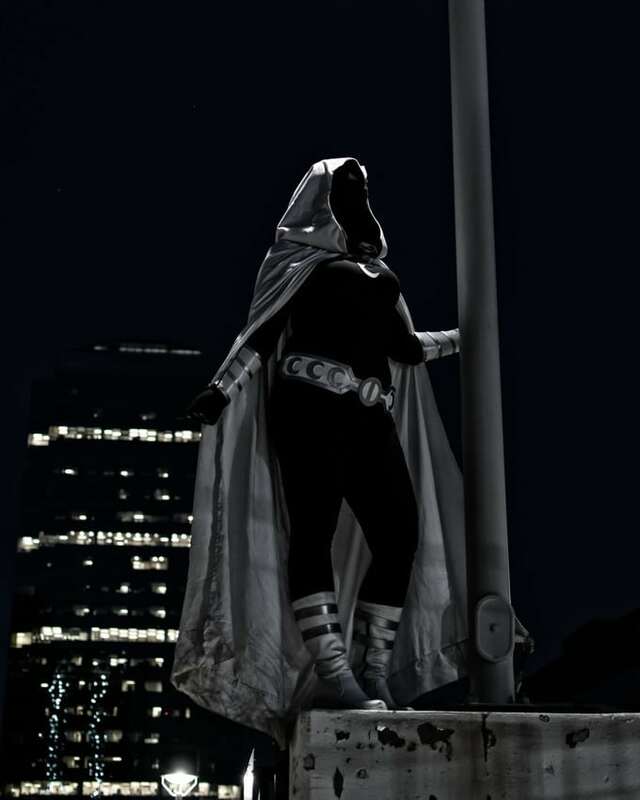 Visit Breezeeweezee Cosplay and Captured Photography online.